How often can i sacrifice a Sakura-Tribe Elder enchanted with Gift of Immortality? Nice deck. I do have several suggestions to help streamline things even more. Weird Harvest over Tooth and Nail. With 4 mana and 3 counters on Animar you look up Ancestral Statue and Walking Ballista for the win. Spellseeker can also tutor this up for more and 1 less counter on Animar. and for an additional more you can Imperial Recruiter to look up Spellseeker. Lots of redundancy for this combo already in the deck and even Recruiter>Spellseeker>Weird Harvest>Ballista/Statue is less than a non-entwined Tooth and Nail. Glimpse of Nature over Consecrated Sphinx. Sphinx requires you to pass turn to get value which doesn't help you combo off and win. 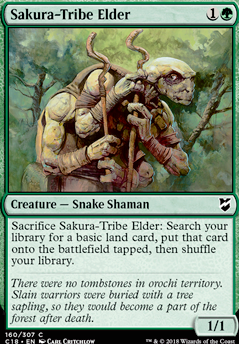 Sakura-Tribe Elder over Kodama's Reach - Better ramp here. 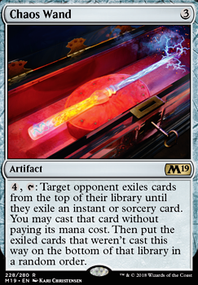 Villainous Wealth is a great mana sink payoff card, Eternal Witness because no brainer, Sakura-Tribe Elder same deal, Chemister's Insight and Deep Analysis are nice draw spells that don't care about getting milled, Life from the Loam is in a similar vein or just run Crucible of Worlds to play cards you self mill. 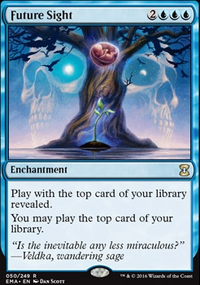 I'm trying to judge the potential value of Arboreal Grazer. It's 1 mana to put a counter on Animar and a land from your hand into play tapped. 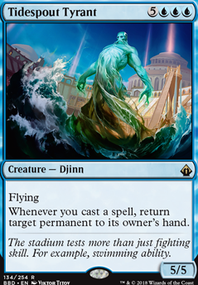 Typically I don't like the restriction of it being a land in your hand because Animar runs a pretty low land count, so the effect would probably have high variance as to whether or not it actually helps you ramp. Typical 1 mana dorks help you ramp at the same speed and guarantee that you get that extra mana. 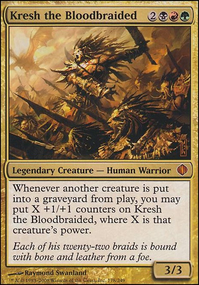 What makes me consider the card though is that the Kiri combos are land dependent, so getting another land into play over having a creature produce mana is actually relevant, and at 1 mana it can potentially help get down a turn 2 Animar. Whether being 1 mana makes Arboreal Grazer worth inclusion when the more reliable Sakura-Tribe Elder doesn't make the cut at 2 mana makes for an interesting comparison. The Grazer can't tutor for a land, but at the same time it lets you put any land into play, not just a basic land, which is more in line with Animar running almost no basics in its mana base. I lean towards saying no to the Grazer, but that is because I tend to have bad luck with drawing lands and tend to take risks with hands with low hand counts. I'm not sure how other people's experiences compare when piloting the deck. I love it, great flavor. Should probably add a few more lands and maybe some more ramp like Sakura-Tribe Elder , Cultivate , Nature's Lore , Farseek , etc. Could try cutting some of the higher cost spells for these. Might smooth things out a bit. Might try adding some more card draw too.